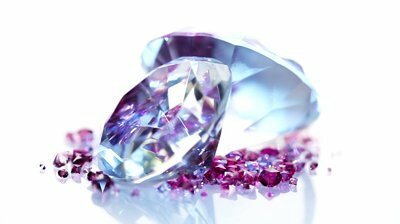 Mumbai: Saddled with bad assets like the Rs 6,000 crore Winsome Diamonds account, lenders have come out strongly against shady practices in the gems and jewellery sector, stating that there exists a "trust deficit" that makes doing business with the industry difficult. "As of today, there is a huge trust deficit within the industry, bankers, regulators and government. This is one segment where trust is most important," Bank of Baroda's Chairman and Managing Director S S Mundra said, speaking at a gathering of the gems and jewellery industry over the weekend. His reservations included the likely diversion of funds by the players into real estate, equities and commodity market investments; an "intermingling" between gold, diamond and jewellery verticals which led to interest arbitrage and "confusion" in working capital positions; and even a lack of trust in the trade data put out which makes it difficult to compute the net exchange earning. Mundra, who is widely tipped to be the next Deputy Governor of the Reserve Bank of India, hinted that such practices make it very uncomfortable for a bank to do business with the sector, even though the sector may deliver benefits on employment generation and foreign exchange earning front. State Bank of India's Chairman Arundhati Bhattacharya targeted the lack of transparency in the sector and said it is due to this that regulations governing lending to the sector are very stringent and hence, bankers are retreating from this business globally. "At this point of time, there is very little transparency as to which part of business is utilising what funds and what value and what margins are there in individual parts of the business," she said, affirming SBI's commitment to the sector, where it has a Rs 4,000 crore exposure.